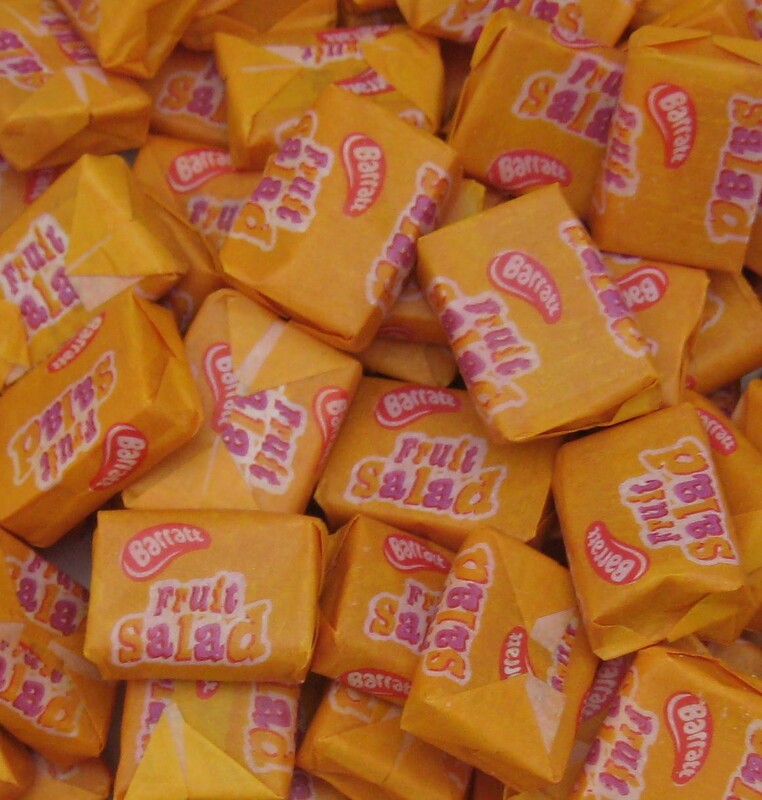 Fruit Salad: A retro classic, Raspberry and Pineapple flavoured chews. Individually wrapped. 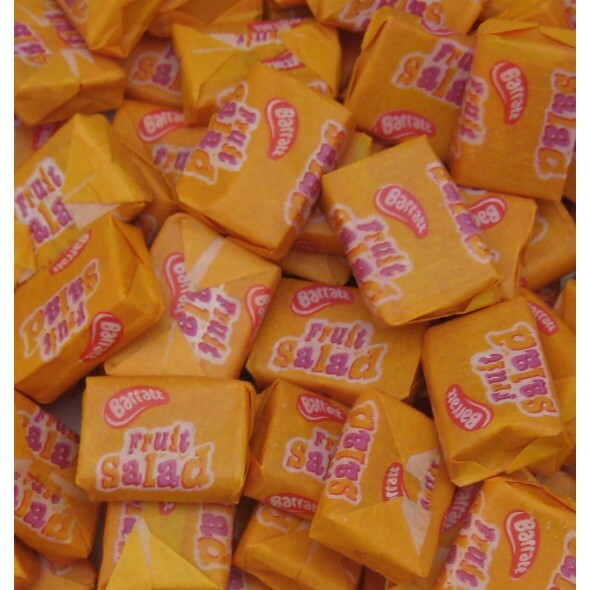 Ingredients: glucose syrup, sugar, vegetable oil, citric acid, beef gelatine, natural flavourings (pineapple, raspberry), natural colours (paprika extract, anthocyanins) emulsifier (soya lecithins).